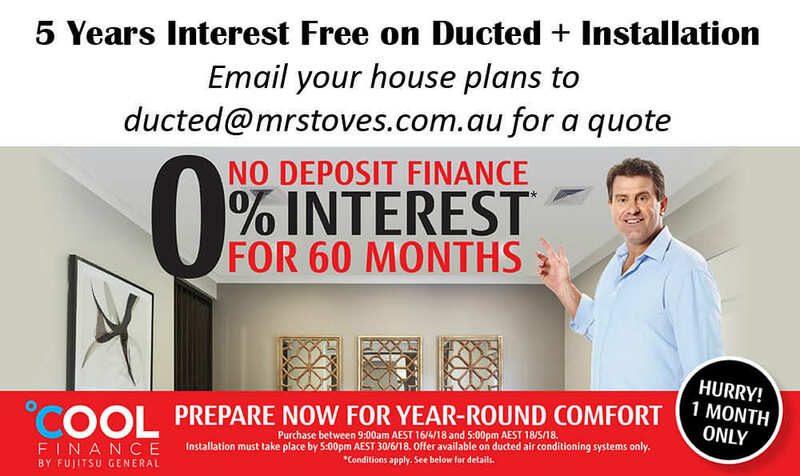 Fujitsu Air Conditioners - "Australia's Favourite Air"
Welcome to Mr Stoves Air Conditioning, we're proud to be your Brisbane Fujitsu specialists offering over 10 years experience in the supply and installation of air conditioning in Queensland. We've tried to make this site as simple and informative as possible to take the confusion out of air conditioning. We offer a holistic approach and we believe that our customer service is what sets us apart from the rest. Our custom Quote Builder helps determine the best unit for your needs and Energex is helping make air conditioning more affordable than ever with the Peak Smart Rebate offer. If you'd prefer to discuss your requirements face-to-face you can visit our knowledgeable staff in our Brisbane showroom and find out more about us. Fujitsu air conditioners represent the pinnacle of performance and we complement this with our leading customer service, responsive delivery solutions and knowledgeable installers operating in the Greater Brisbane area.